2000 Miles!!! Once I get off my bike long enough, I might do some updates here. But in the mean time, just know that I rode 2000 miles! That’s right… 2-0-0-0 MILES! On a BICYCLE! 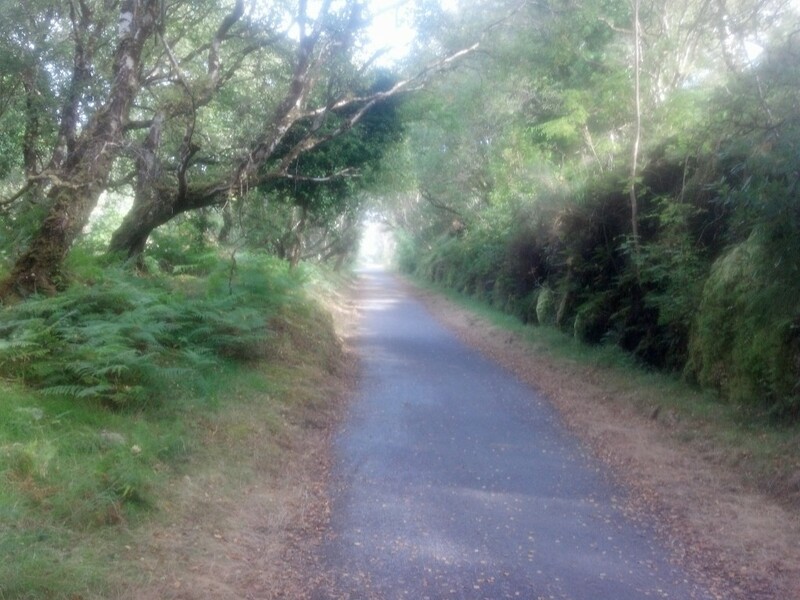 The Western Greenway gave us a break from the road cycling and was so well appreciated. While the highway was visible at times, it was nice to cycle without worrying about the traffic. 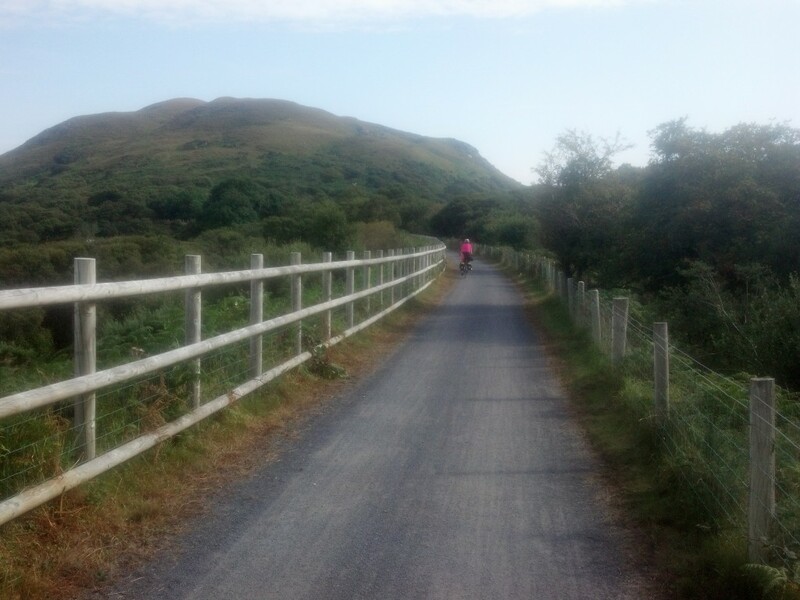 We joined the Greenway at Newport and went west to Achill Island. 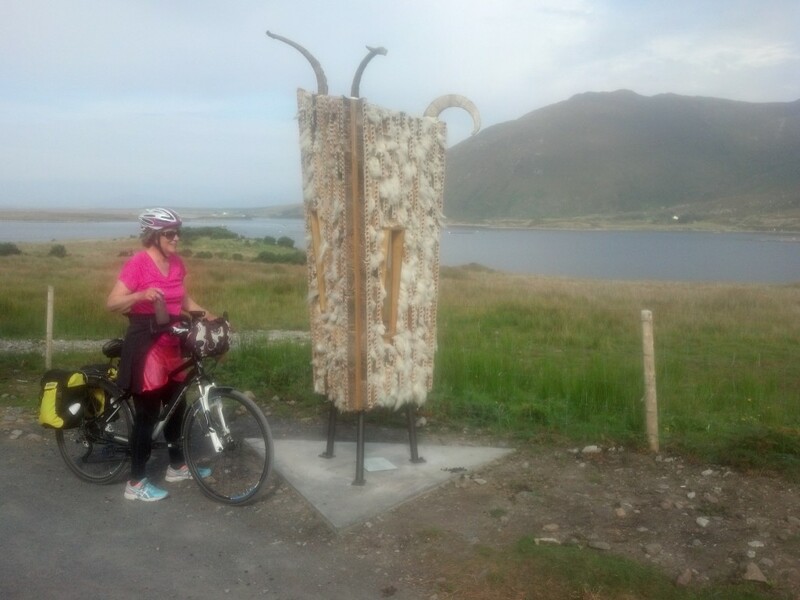 We then traveled the next day around Achill and back to the Greenway to head back through Newport and on to Westport. In the United States we have many of these cycleways that are built on old railway trails that are now defunct. If financially feasible, creating more cycleways would be a nice way for Ireland to entice more cyclists to the country. 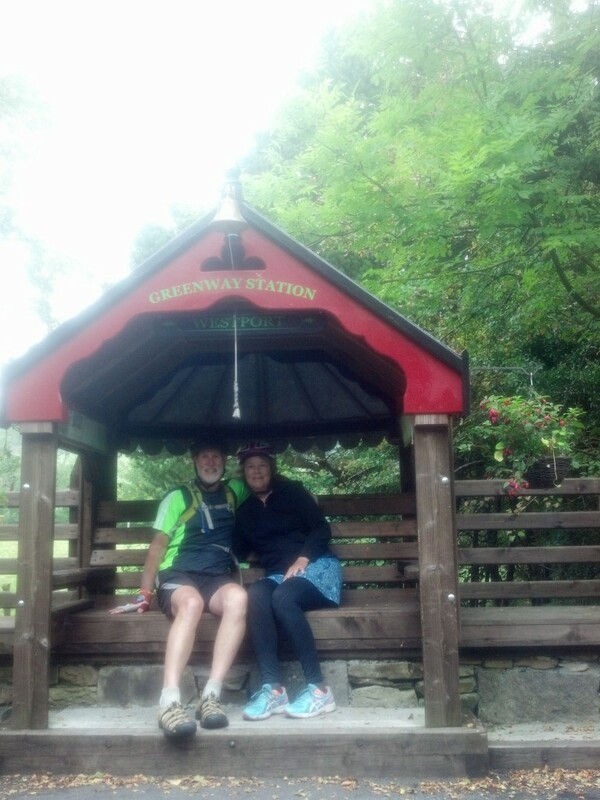 Along the Greenway, we made a stop for lunch in Mulranny. Here we met a gentleman and his lady friend who were also out for a day cycle. The gentleman was Aidan Byrne whose father, Police Sergeant Peter Byrne, knew Eamon’s father, Andy. Peter died in 1950 and Aidan also was a police sergeant. During our lunch, his lady friend indicated that she had worked with Eamon about 15 years ago as a Yoga teacher at the MS Centre. Her name was Rosaleen. It was amazing to us that everywhere we went there were folks who knew “Eamon Carney”! 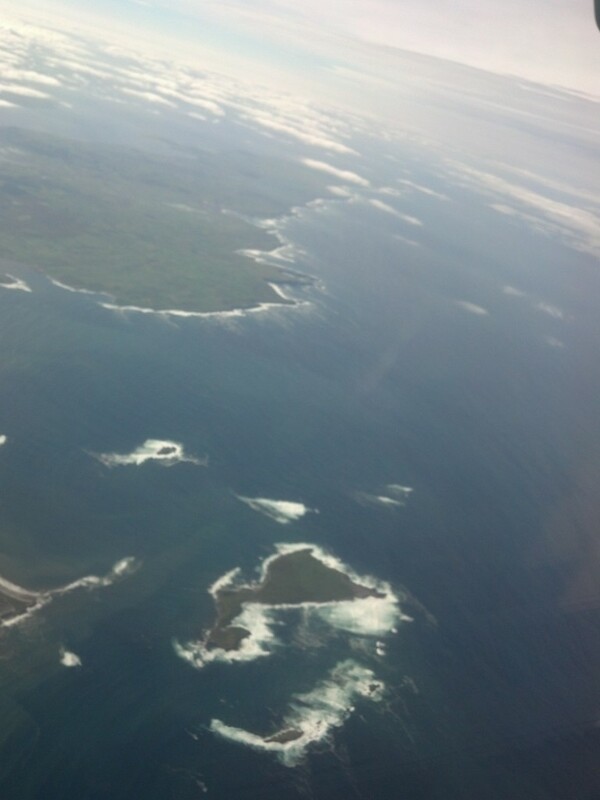 The Eamon connection surfaced again during our stay on the Aran Island of Inishmoir. 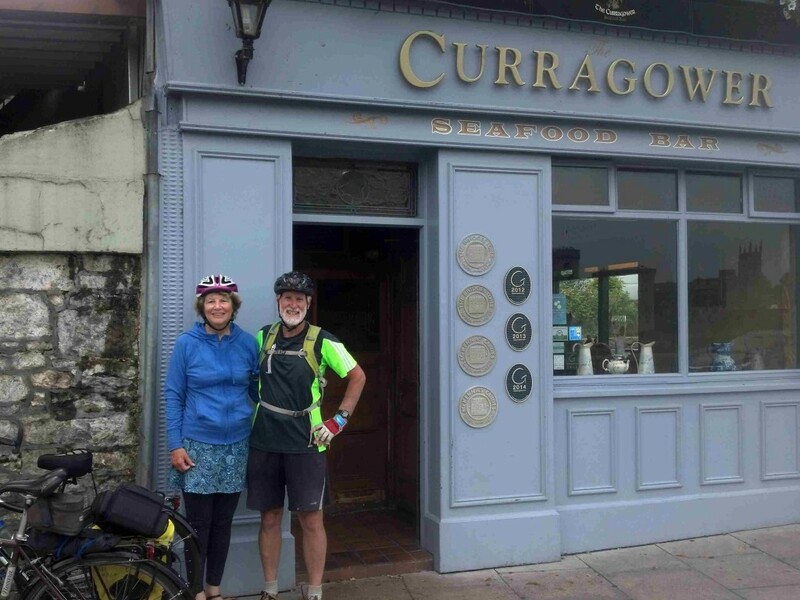 In talking to the lady who owned the B and B where we were spending the night I mentioned that we had visited my cousin in Sligo and she indicated her sister lived in nearby Skreen and probably knew Eamon. She emailed her sister and found out that, yes, she knew Eamon well he stops by and visits and her son, Enda, helps with projects. Repeatedly, everyone in the country knows Eamon Carney! 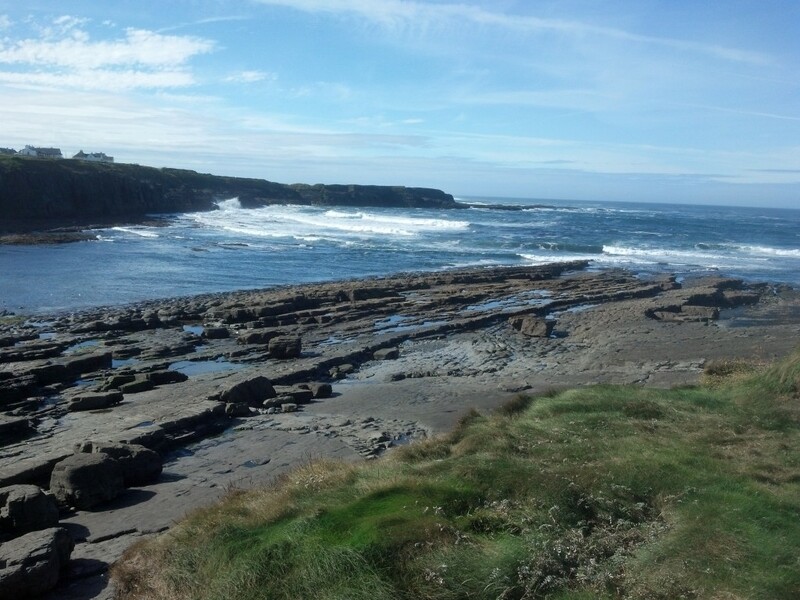 Earlier in our trip, during our tour of the Kerry Peninsula, we paid 5 Euros to go out and view the “amazing cliffs of Kerry”, near Portmagee. 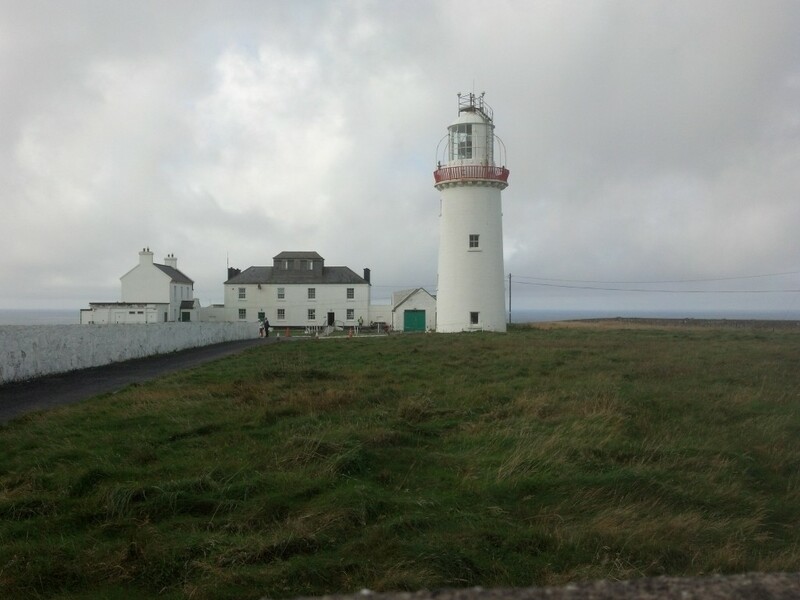 While they were interesting and indeed cliffs, we found the cliffs along the Burren, and the coastline near Kilkee and the Loop head lighthouse much more impressive and “wild” – as in the Wild Atlantic Way. 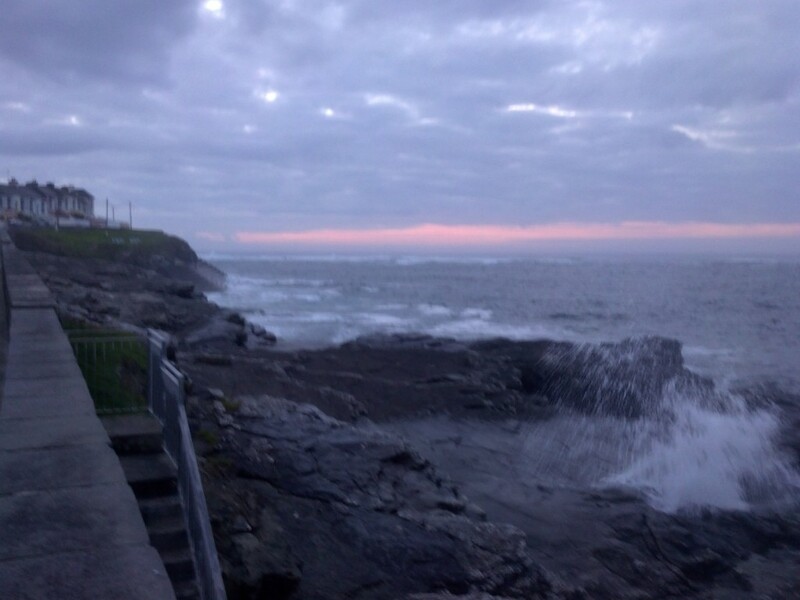 The Ocean is so powerful, even when weather is calm. Its power when storming was everywhere evident in the substantial damage being repaired from the winter storms of January, February 2014. During our evening walks after dinner as the sun was setting, we were able to enjoy the most beautiful ocean views.